Truffle oil isn´t actually made from truffles. It is olive oil infused with either black or white truffles. This fact influences storage requirements and shelf life of truffle oil. Flavored olive oils (like truffle oil) may become rancid faster than pure olive oil. Refrigeration retards the process and may help truffle oil last longer. However, too low temperatures are also not good for the oil. Here is the ultimate storage guide for truffle oil. Unopened bottle – 6 month. An unopened bottle of truffle oil can be stored up to 6 months. If you plan to store it that long, choose a bottle that allows screwing the lid into place or pushing a cork firmly into the bottle. Opened bottle – 3 months. An opened bottle of truffle oil should be kept in a cool, dark place. Put it in a cellar or a cupboard that stays dark and relatively cold. Optimal Storage temperature is 41°F – 68°F(5°C – 20°C). Unfortunately, truffle oil can lose its distinctive flavor and aroma within a few months if not stored properly. To avoid this, don´t let it sit in warm place, and don´t freeze truffle oil. If stored in the fridge, leave it out for 15 min. before using. Storing truffle oil in the refrigerator will extend its shelf life, but it can also cause the oil to become cloudy and partially solidify. Live oil out for 15 min. before using. Never overheat truffle oil! 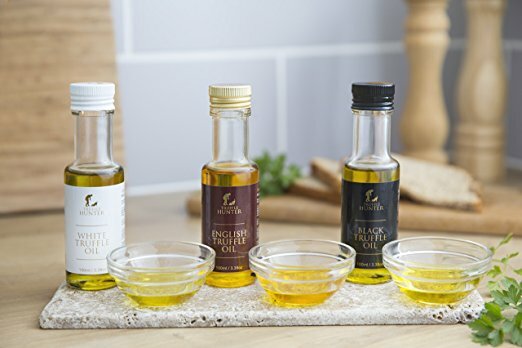 Meaning, you shouldn´t actually cook with this oil. Truffle oils are not used in cooking, as the heat destroys their flavors. If you cook truffle oil, it just becomes super-expensive regular olive oil. Truffle oil is a finishing oil and should be used cold.